During my college days, I did my summer internship at Kolkata. Among the many things I remember from those days are the street food that were not only easy on the pocket but also a gourmet’s delight. The most popular of them the Kathi Kabab and Muglai Paratha. 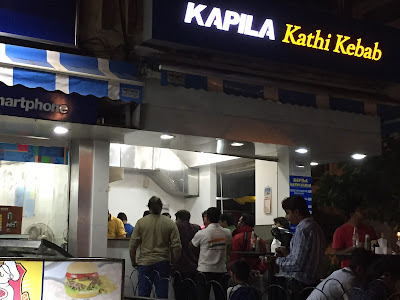 When I came to Pune several years back, I discovered Kapila Kathi Kababs, a small ‘hole-in-the-wall’ outlet on Dhole Patil Road that recreated the deliciousness of the Kolkata Kathi rolls and have been addicted ever since. Both the Kathi Kabab and the Muglai Paratha owe their existence to the influence of Mughal cuisine as it made its way into Bengal. 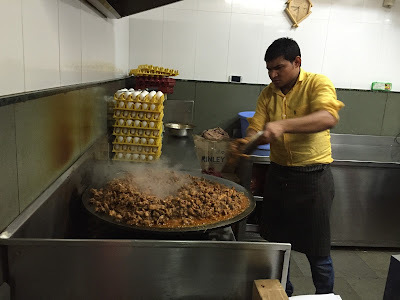 I have mentioned elsewhere how Mughal cooks fled to Kolkata during the Sepoy Mutiny of 1857. Among the many things they brought here was their cooking traditions which were soon adapted and absorbed within the local Nawabi kitchens of Murshidabad and other princely homes of the North East. Nizam’s, a restaurant that has been a Kolkata institution from the time it opened in 1932, appears to be the first one that turned Kathi Kabab into a fast food delicacy. 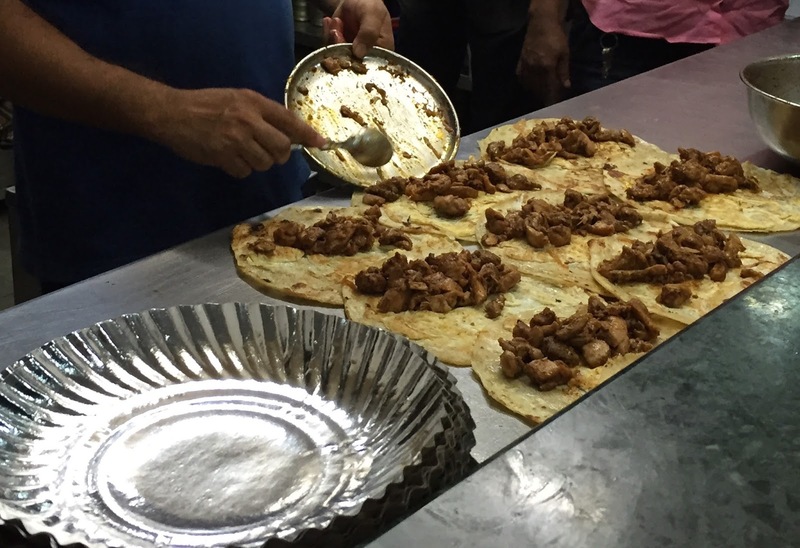 There are many stories that speculate on how the Kathi Kabab came about, such as the one about their British patron who loved Nizam’s kababs, but didn’t want to use his fingers and therefore the kabab was given wrapped to him in a paratha. 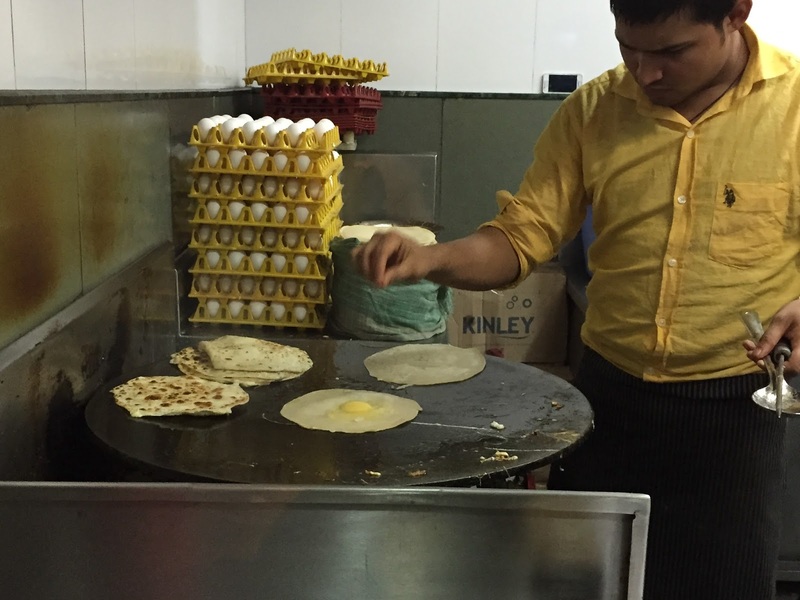 Others found this a great way to take away the kababs and savour them on their way to work. 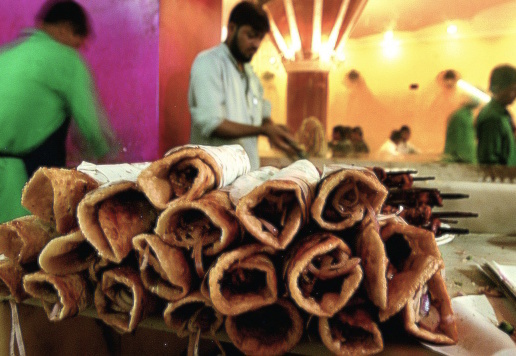 Nizam’s grilled their meat on long iron skewers in the traditional Indian way, but after demand for their Kathi Kababs began to grow, found it faster to grill them on long ovens with the meat on smaller bamboo skewers. This is apparently the process that gave this dish its distinctive name. Kathi in Bengali means stick, so this became the kabab on a stick. Kapila Kathi Kabab moved into a larger place recently (right opposite their original location). They also open early now: at 12:30 pm. The unique deliciousness of their Kathi Kababs are a combination of the spicy meat filling, the well-crafted paratha made by frying the leavened bread with a layer of egg on a large iron griddle before rolling up the meat with a sprinkling of freshly chopped onion and mint chutney. Kapila has never slipped up once since I first ate here, but my last visit here was an anomaly. For the first time, they served me a roll that had been over-fried and the taste underwhelmed. I hope this is a one-time mishap and not a sign of their focus on growth getting in their way of quality. When speaking of rolls, one must also mention Tibbs of Mumbai which introduced the Frankie, which is what they call their version of this dish. Not as rich and less oily, the Tibbs Frankie is a reimagined and Indianised Lebanese pita wrap that has found appeal among the more contemporary Mumbai crowd since they opened in the late 60s. The Kathi roll continues to live on in newer forms. 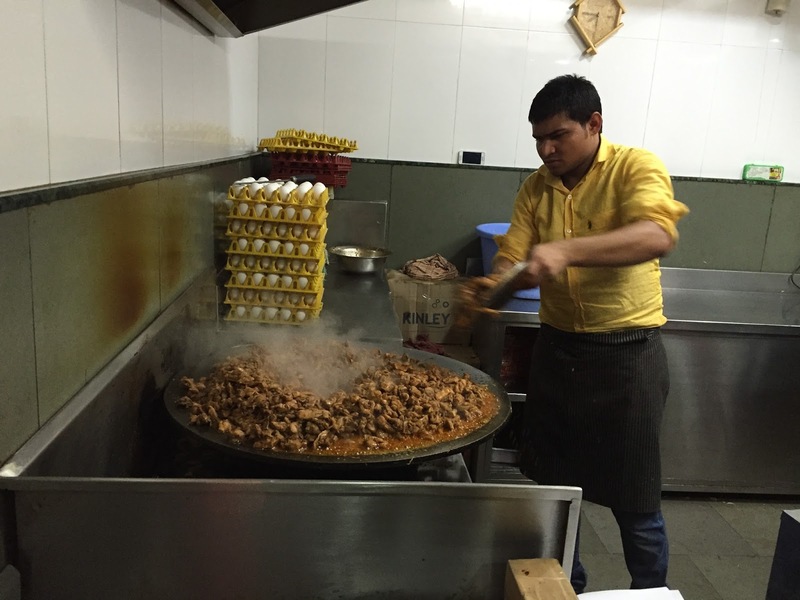 Faaso’s of Pune built their business on a version of this popular Indian fast-food too. 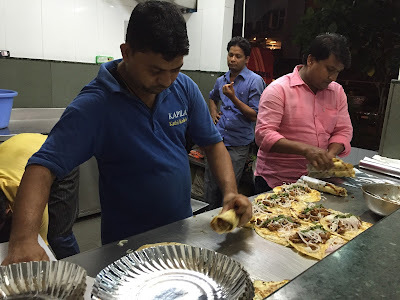 Haven't tried the kathi kebabs of Kapila yet, but that reminds me of the Kakori kebabs from Mahim Mumbai. Whenever you are there just try once. They just melt in you mouth..
@Murad: Thanks for the pointer re: Mahim.